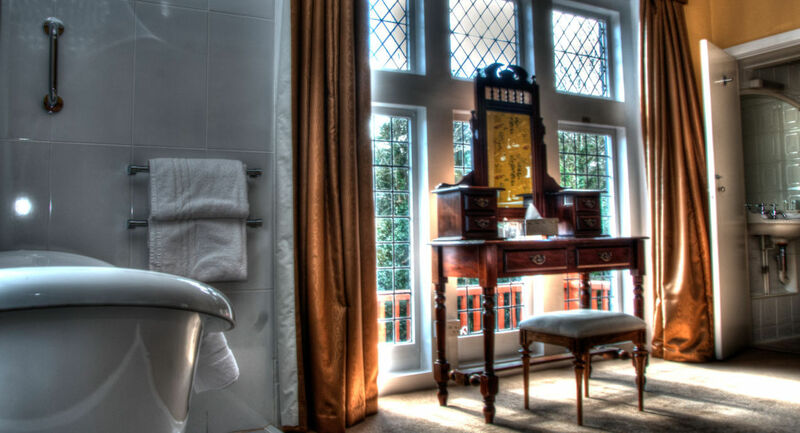 Unique to Langtry Manor, we are proud to offer our heritage bedrooms for that special stay. 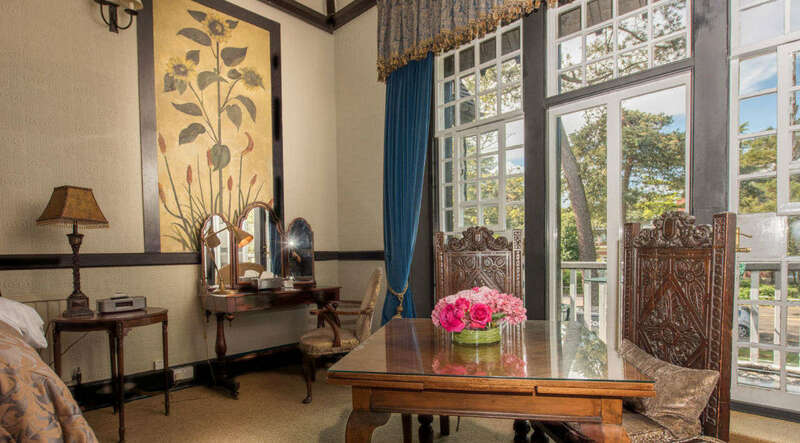 Both the King’s Room and Lillie Langtry room have balconies and facets unique to the hotel. 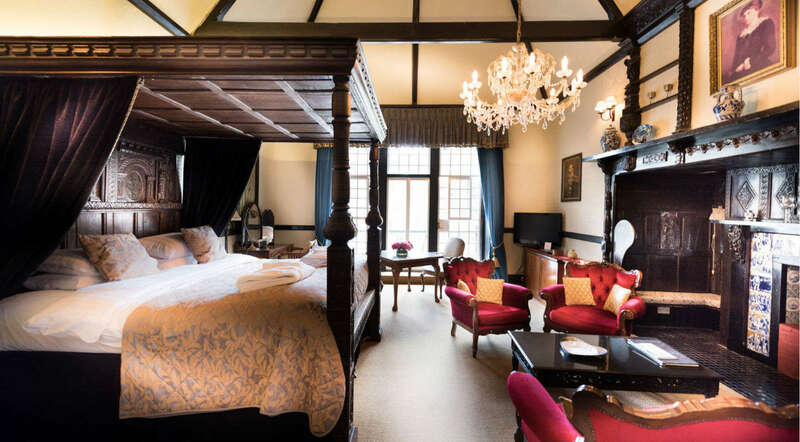 The King’s Room features an original carved inglenook fireplace with gold inlaid tiles depicting scenes from Shakespeare’s plays and a magnificent Jacobean four poster bed along with a host of other unique details. Lillie’s room highlights the swan motif to be found elsewhere in the house (a symbol of the love Edward and Lillie shared). 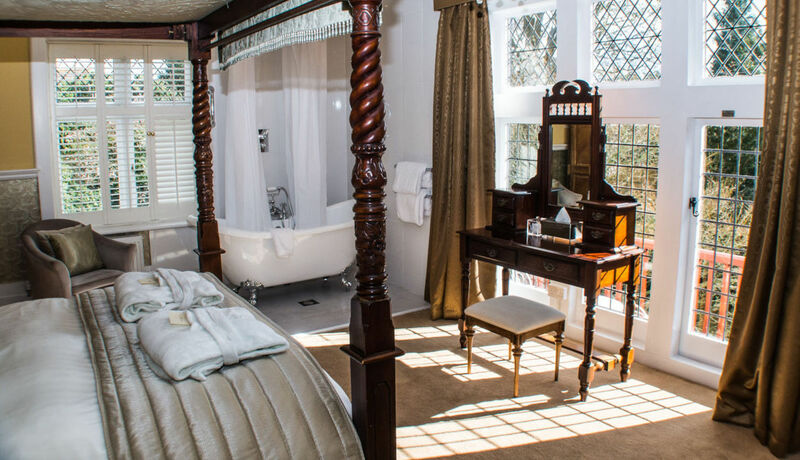 An elegant roll top bath occupies one corner of this room which also boasts a fine four poster bed. 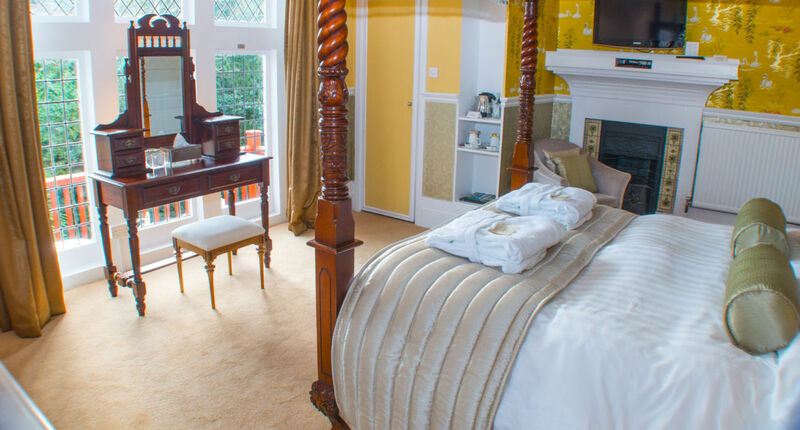 These bedrooms are favourites with our many returning guests – please contact our reception if you wish to request a favourite bedroom. 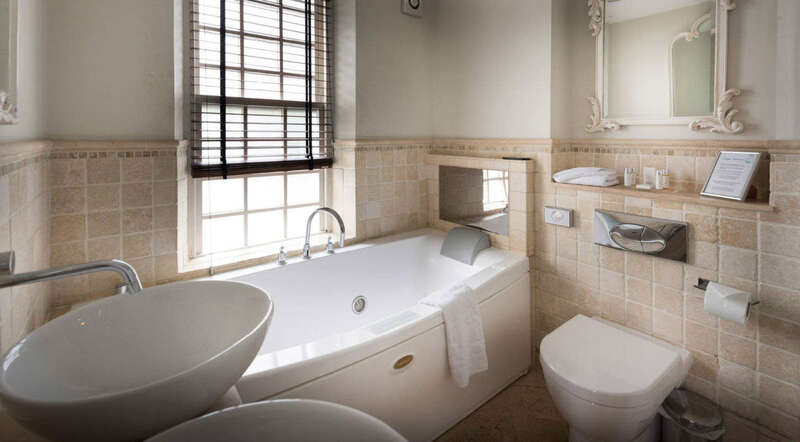 I decided to treat myself on a drive from Hastings to Torquay and stay in the Prince of Wales’ private suite, called the King’s Room. …not to mention the suite that was quite extraordinary! If ever I am in the area again, I will most definitely stay here. I could not have been more delighted – thank you!